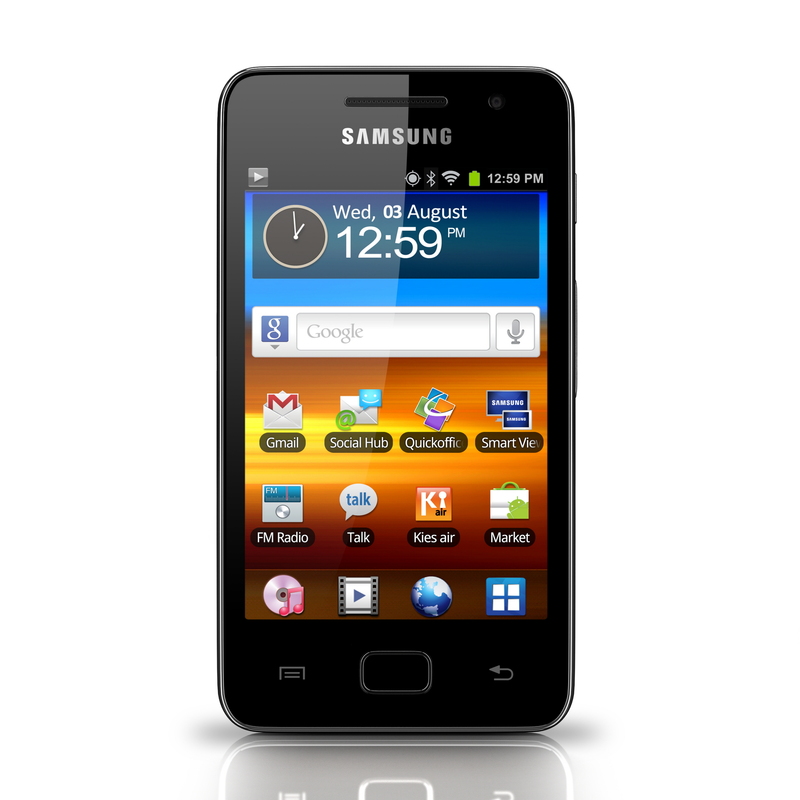 Also new from Samsung is this rather curious new product – the GALAXY WiFi 3.6. It is odd because it looks like a mobile phone (it has a 3.6inch screen), has mobile type features and even lets you make voice and phone calls, but it doesn’t actually have a SIM slot and just uses Wi-Fi for communication. So basically you can’t make calls unless you are in a Wi-Fi zone. So it is a bit like the iPod touch then? Well kind of in that it packs lots of entertainment features, but this is much more focused on enabling he user to make free voice and video calls. Here’s how the company describes it. So, on to the features; it packs an ultra-fast 1GHz OMAP processor, runs Android 2.3 (Gingerbread) OS, supports a variety of video and audio formats and has a facility called Social Hub which enables the owner to stay in contact through social networking sites. As for its communication features – users can make voice or video calls over the internet, using platforms such as Google Talk. It also has access to the Android market and to Samsung’s dedicated apps. Good stuff, although it is a bit late to the game. These Galaxy S WiFi’s 4 and 5 were supposed to be on the market in spring this year if I recall. I don’t know what Samsung’s problem is with getting things to the market here in the US? It is not like there is a serious void of competition here for the iPod touch.